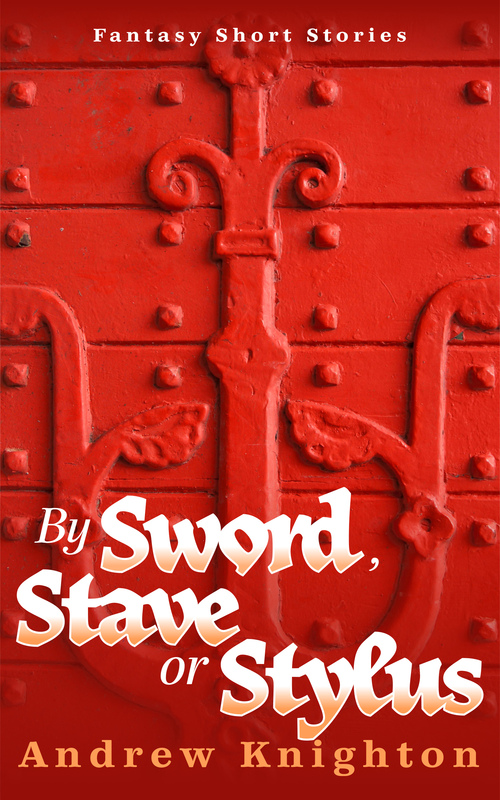 This month, one of my fantasy stories, “The Well of Vengeance”, sees light of day in Swords and Sorcery Magazine. It’s a dramatic tale of suffering, endurance, and justice set amid the sands of the Middle East, during the Roman Empire. But where did this story come from? I wrote the original version of this story years ago, in response to a call for stories featuring gigantic monsters. 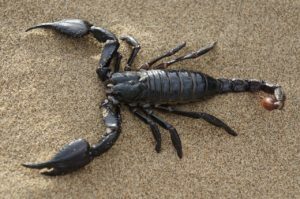 I was looking for something different from the usual apes, lizards, and dinosaurs, and thought that a massive scorpion might be interesting. 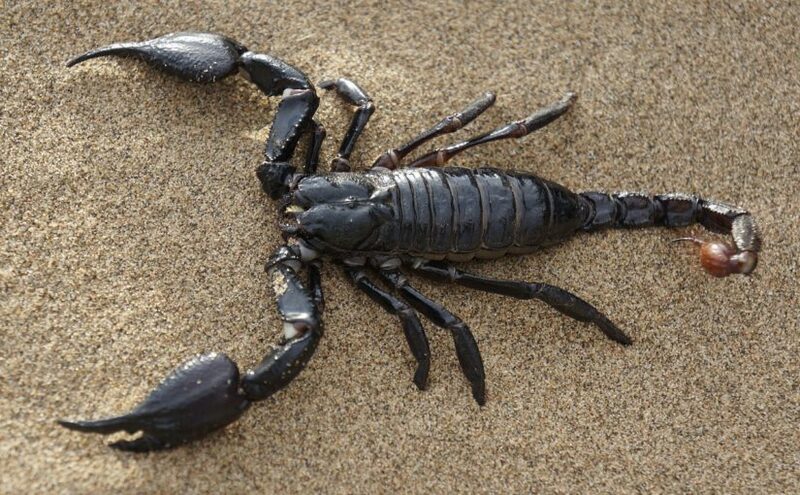 There’s something sinister about a scorpion of any size, but pair its poison with vast claws and you’ve got something really deadly. Plus what child of the ’80s didn’t think Scorponok was kind of cool? While a giant scorpion made for a neat image, it wasn’t going to be much use as a protagonist, or give me emotional substance to work with. For that, I needed a protagonist, and a setting for them to emerge from. This story’s title comes from the place it’s all heading towards, a source of water amid the harsh desert sands, an oasis that brings the hope of survival, but also the threat of bloody revenge. This was inspired by something from the Bible. I don’t remember quite how I stumbled across it, but there was a section talking about wells with symbolic names. The wells were so important for surviving in an arid climate that they gained special associations and a mystique around them. They represented ideas. One of the most common tricks of fantasy writing is to make the symbolic literal. In the world of this story, wells have significance and meaning not just because of the water, but because of the spirits they embody. The Well of Hope might be a place that brings up bright thoughts. The Well of Vengeance, on the other hand, will stir visitors to examine their grudges and indulge in dark deeds. That gave me a setting, an antagonist, a title, even a motive for the protagonist – get to vengeance, both the well and the action. But who could that protagonist be? Here’s where I get to my limitations as a writer. A decade ago (blimey, that time has flown past! ), when I first started on this story, I’d just become concerned with showing more women in my stories. My then-partner had pointed out that I habitually wrote about men, and I wanted to balance that out. So I created Esther, the protagonist of this story, a young woman on a mission to right old wrongs. That’s not a bad thing in itself, but there is a problem with it. In trying to show women as empowered, it’s not uncommon to show women who have been hurt by men and are now out for revenge. It centres their motivation on male characters and emphasises men’s effect on women. That’s not bad in itself, but doing it too often – which is arguably a thing – doesn’t help in better representing truly empowered and independent female characters. This story is part of a pattern that I’m not entirely comfortable with. An attempt at empowerment becomes undermining and more than a little cliched. If I could change anything about the story, it would be that. That being the case, why didn’t I rewrite the story? Honestly, because I’m better off writing new ones. It’s great that someone liked this enough to publish it, but I’d rather create something new than keep recreating my old work. I’m full of ideas and skills I didn’t have a decade ago. I’m moving forward. I hope you enjoy reading “The Well of Vengeance“, limitations and all. No story is perfect, and I’m pleased with a lot of what I did on this one. And if you already read and enjoyed it then you might want to sign up to my mailing list, where you’ll get a free ebook and a flash story straight to your inbox every Friday. Posted on 15th April 2019 11th April 2019 Categories commentary on my storiesTags release, short storyLeave a comment on The Well of Vengeance – What’s This All About Then? 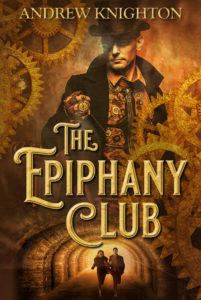 The Epiphany Club is out today! Collecting all five novellas in my steampunk series, it’s the biggest book I’ve put out so far, and the first one that’s available in print as well as e-book. But Dirk and his colleagues aren’t the only ones following the trail. Faced with strange machines, deadly assassins, and shocking betrayal, can they survive the perils confronting them? And what will they find when they finally reach their destination? The Epiphany Club is available now from all sorts of online outlets. Go get yourself a copy now, and if you enjoy it, please leave a review where you bought it or on Goodreads. I have a new comic out today! 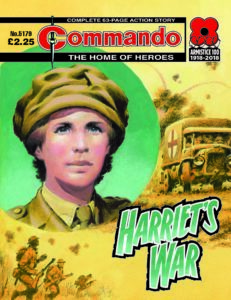 Harriet’s War is part of Commando‘s Armistice celebration, marking 100 years since the end of the First World War. The story of an ambulance driver on the Western Front, it’s a story I was really excited to write, not least because it covers the under-represented role of women in the war. You can get Harriet’s War from newsagents in the UK and in digital form around the world via Comixology. If you want to read more about it, check out my post from Monday. And if you enjoy it, please let me know – it’s always nice to hear when people like your work. 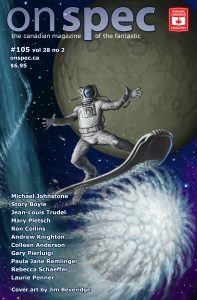 My story “Words of Wisdom” is out now in issue #105 of On Spec magazine. Set in a clockwork version of medieval Baghdad, it’s the story of a young engineer trying to find her place in the world and an aging master trying to preserve what he has built. Huzzah and hoorah! 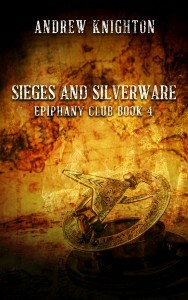 I’ve finally finished writing Sieges and Silverware, the fourth in my Epiphany Club series of novellas. In the face of war and betrayal, adventurer Dirk Dynamo is still looking for the clues that will take him to the lost Great Library of Alexandria. Arriving at an isolated German castle, he finds his life threatened not just by the enemies prowling its corridors but by an army laying siege outside the walls. Surrounded by traitors, monsters and falling artillery shells, can Dirk escape with his life and with the artefacts he needs, or will he be one more casualty of a nation being born in iron and blood? The fourth story in the Epiphany Club series, Sieges and Silverware sees Dirk face the consequences of events in Paris and the betrayal he suffered there. No longer just looking for treasure, he must also find a way to mend a broken heart. I know that this one has been a long time coming and I’m sorry to those of you who’ve been waiting. But now that other parts of life are under control, the final book in the series, Dead Men and Dynamite, will also be here soon. Sieges and Silverware is out on the 27th of October. You can pre-order it now through Amazon and Smashwords. Are you interested in history? Do you like to read about the downfall of civilisations? Does the thought of past disasters help you survive current ones? 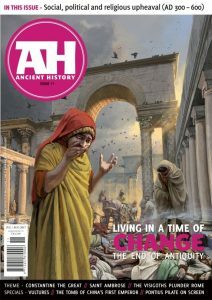 Then the latest issue of Ancient History is for you! Themed around the end of antiquity, it features an article by me entitled “Praying Away the Plague”, about how people used religion to cope with the Justinian Plague of the 6th century. There’s also stuff on learning, politics, and the personalities of those changing times. So if you’re a fan of well-written and accessible history, go grab a copy now. One by one, Rhodri plucked the stones from the field and dropped them into his basket. More than just rocks, they carried the spirits of past generations, reaching out to Rhodri through fragments of their land. Every spring the same, since men came to this valley in a time older than tales. Rhodri heard the spirits of those long dead men whisper in his ear, an echo of when they worked these same fields. Alt Hist Issue 9 brings you the best new writing in historical fiction and alternate history. 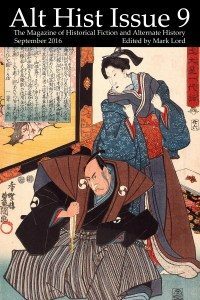 This issue features six new short stories and takes the reader from German occupied Yorkshire to Samurai-era Japan, via the Bermuda triangle, medieval Wales, the Vikings and post-war Ireland. You’ll find action-packed stories of fights against sea monsters, the intrigue of resistance against Nazi and Norman oppressors and the upholding of honour within traditional Samurai and Viking societies inside the pages of Alt Hist Issue 9. 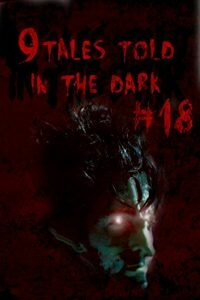 My story “Cold Flesh” is reprinted today in 9Tales Told in the Dark #18. A medieval story of sanity and the supernatural, it’s one of my rare forays into horror. You can get it now through Amazon, and if you’d like more historical fiction, check out my collection From a Foreign Shore. 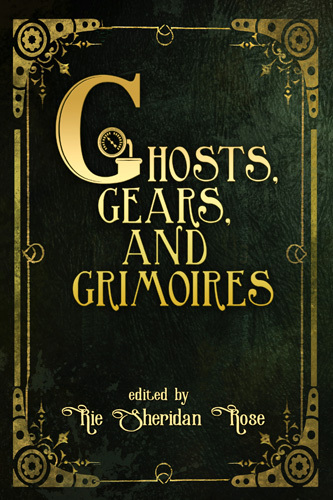 What happens when the supernatural and steampunk collide? When ghosts get into the gears and cowled figures haunt the cogwheels? When blood drips with the fog from the streets of cities that rattle with industry? “I say!” Filbery protested, as Kagunda grabbed each of them by an arm and dragged them to the back rail. Hywel knew the foreman was strong, but this was the first time he had felt the intensity of that strength, pulling him about like a rag doll. “Flint?” Hywel murmured, knowing as he said it that the geology was wrong. “Bone.” Kagunda’s voice tolled like a bell. Bullets hissed past Sir Henry Torrent’s head like a swarm of angry flies. Some hit the floating prison’s quay, knocking splintered holes through the planks. Others vanished into the darkness, lost between a starless sky and the endless sea. At this range, he feared only a little for his life, the danger adding spice to an already glorious adventure. 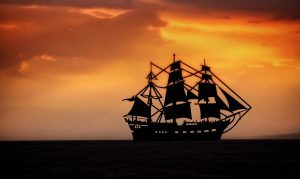 ‘Captain, they’re almost on us!’ Israel Pound turned, snapped off a pistol shot, and scurried on towards the ship, leaving a cloud of greasy, sulphurous smoke. ‘Pray don’t vex yourself, Pound.’ Sir Henry ushered their manacled guest towards the gangplank. ‘But Captain…’ Fresh yelling caused Pound to put his breath into speed, not speech. I have a new story out! Published online in Heroic Fantasy Quarterly, “Racing the Headsman” is a fantasy alternate history story. In the 17th century, a vast flood has drowned half of Europe. Their Civil War interrupted, the English now fight each other on the high seas. Royalist Sir Henry Torrent is trying to restore King Charles to the throne, with a parliamentary fleet dogging his every move. When he meets the king himself, everything changes. You can read “Racing the Headsman” for free at this link.